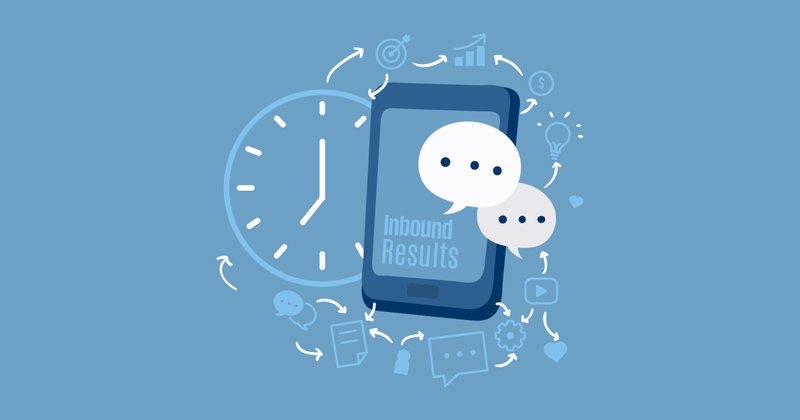 Inbound Marketing: How long does Inbound Marketing take to work? The story goes, the mechanics' car is always broken... The same can be said for digital marketing agencies and their own marketing. A little over a year ago we were in the same boat. Our agency was chugging along nicely with a strong referral network keeping us growing at a 'steady-ish' rate, but with a slight decrease in growth velocity. Size comes with a realisation that the law of diminishing returns is a real and unfortunate thing. The decrease in growth velocity caused us to look closely at how we generated business and we decided to get real with our own digital marketing. As long-time digital marketers for our clients and fans of inbound marketing, we decided to focus on our own stuff. This decision was made in November 2016, and in January 2017 we hit the ground running. Total traffic to our site that January was around 500 visits, of which around 200 was organic traffic. If we generated more than two leads that month I'd be surprised. Basically, our web presence sucked. Anyway, to cut a long story short, we implemented a strong inbound campaign and focused on regularly producing helpful content for our audience. A year later in January 2018 we had 6500 visits to our site, and organic traffic made up around 2000 of those visits. That's a 1000% increase in organic traffic! Over the entire year in 2017 we generated 91 contacts via organic traffic. In the single month of January 2018, we generated 59 contacts from organic traffic! Consistently producing great content lead to a logarithmic growth in leads for our agency. A year into this journey, and we are now telling our sales team to select who we work with carefully. A steady flow of enquiries has given us the luxury to work with clients that are a good fit for our company. This is in stark contrast to relying on our referral network where we had to take the deals that came our way to survive and grow. Inbound takes time. Be diligent. Be consistent. Be ready for incredible company growth!